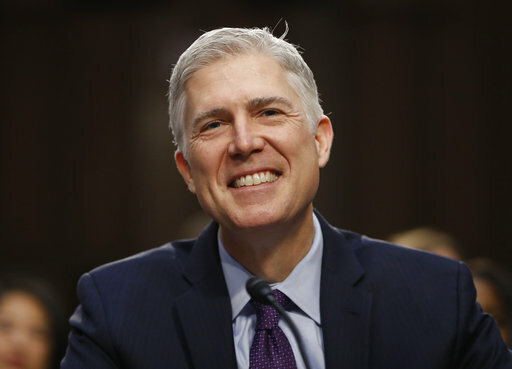 WASHINGTON (CN) – Setting the stage for the first Supreme Court nominee confirmed via “nuclear option,” the Senate Judiciary Committee advanced Judge Neil Gorsuch to the full Senate floor by a party-line vote Monday. The nuclear option refers to the promise that Senate Republicans will remove the ability to filibuster Supreme Court nominations if Democrats make good on their threat to hold up Gorsuch’s nomination. As the Judiciary Committee advanced Gorsuch 11-9 to the full Senate on Monday, the threat of such a move spilled into an ensuing press conference. Sen. John Kennedy, R-La., meanwhile defended the threat. “There has never been a Supreme Court nominee by either a Democratic president or a Republican president who has been filibustered to death for partisan reasons in the history of the United States Senate, or in the United States,” Kennedy told reporters. Congress should do its part to differentiate U.S. Supreme Court nominees from bills. Gorsuch needs 60 votes, or a super majority to fill the seat on the high court left vacant after the February 2016 death of Justice Antonin Scalia. Invoking the nuclear option to break a Democratic filibuster would change the Senate rules so that Supreme Court nominees need only a 51-vote simple majority. Scalia’s seat has remained vacant this long because Senate Majority Leader Mitch McConnell blocked any consideration of the prior administration’s nominee, Judge Merrick Garland. 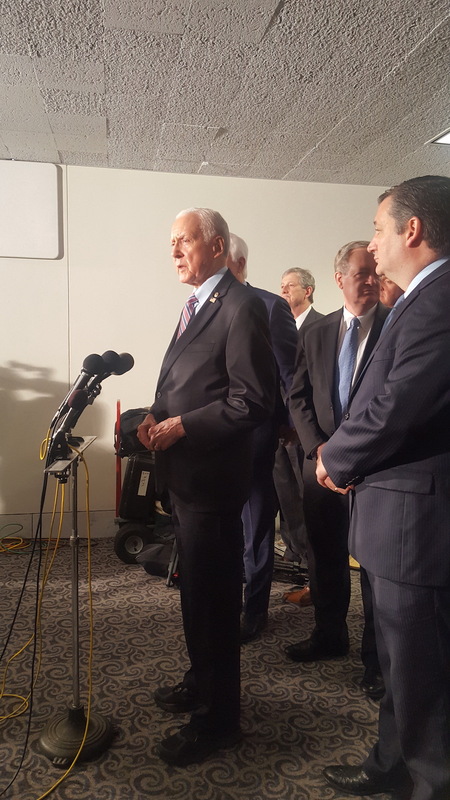 Echoing the justification Republicans had used last year, Committee Chairman Chuck Grassley told reporters at the press conference that Garland’s treatment was acceptable under the so-called Biden rule. Republicans have argued that the former vice president created precedent for blocking Supreme Court nominees during an election year, but the then-Delaware senator had only been speaking hypothetically. Sen. Diane Feinstein defended the Democratic effort to filibuster the Gorsuch vote. “In my view, this is not a routine nomination,” she said. Calling the block of Garland “unprecedented,” Feinstein noted that the Senate Judiciary Committee had confirmed 19 justices who were nominated in an election year. Three of them were confirmed after elections had taken place, she said. “There is simply no reason that the nomination of Judge Garland could not proceed,” Feinstein added. Republicans claim that Democrats also paved the way for them to invoke the nuclear option on Gorsuch’s nomination since it was then-Senate Majority Leader Harry Reid who changed the rules in 2013 to help confirm three of President Obama’s appellate nominations to the D.C. Circuit. Grassley told reporters that no judge was ever filibustered until the George W. Bush administration. At an April 3, 2017, press conference, Republicans explained their threat to invoke the nuclear option, changing the rules to block partisan filibustering of Supreme Court nominees. Sen. Orrin Hatch, R-Utah, blamed Democrats of politicizing the court. Democrats, concerned that Bush would pack the courts with ideological appointees, succeed for 1 1/2 years in blocking his appellate nominees. They managed to filibuster 10 of Bush’s judicial nominees when Republicans retook the Senate majority after the 2002 midterm elections. “This is in many ways, after a long, painful detour, a return to the status quo back before the George W. Bush presidency,” Grassley said. Orrin Hatch, R-Utah, accused Democrats of politicizing the court.